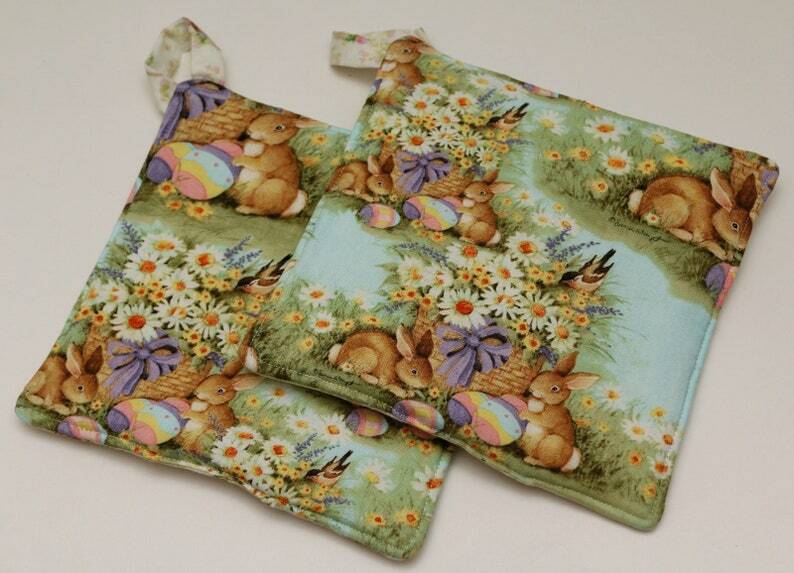 Show off your holiday style in your kitchen with this Easter reversible potholder. One side features bunnies and eggs around baskets filled with daisies and other spring flowers. The other side features bunnies and eggs in the baskets on a cream background with light pink flowers. The tabs are made of the cream background fabric.